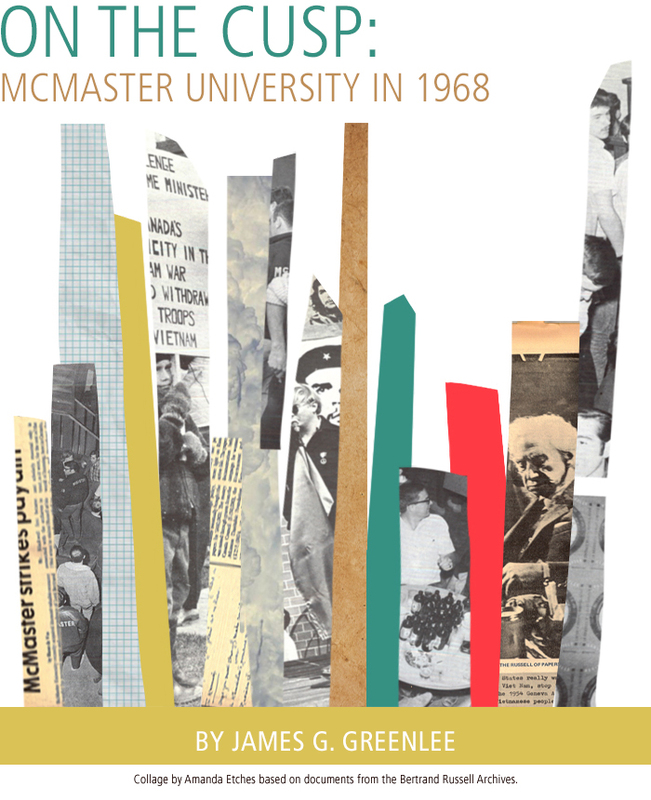 Editor’s note: James G. Greenlee has covered some of the points in this article in greater depth in his book McMaster University, Volume 3, 1957-1987, published by McGill-Queen’s University Press, 2015. “McMaster Strikes Pay Dirt”, glowed an October 11, 1968 Silhouette article announcing the university’s surprise acquisition of Bertrand Russell’s papers. With peacock pride, the student weekly momentarily set campus squabbling aside to lavish praise on all who had engineered so stunning an academic coup. Waxing lyrical, the journal ventured that McMaster was bound to garner immense prestige as trustee of this magnificent archival trove.